Find out what Diabetes Blog Week is all about. Check out the topics for each day’s posts, and even see a list of this year’s participants. Thank you, Karen! The question I’m answering today? What would I most like to see change about diabetes, in any way? OR reflect back on some changes I’ve been through since being diagnosed with diabetes. This is a great topic, and my mind goes in so many different directions. Changes with diabetes? Are you kidding? Yes, please! The question I’m answering today? What’s in my diabetic closet that needs to be cleaned out? There are a few different directions I could take here, but I really like the angle around diabetes emotions. My head is a mess. And I’m afraid to dig in and look at it. What do I mean? I don’t think I’m sick in the head, but to some degree, I think we’re all a little crazy from living with diabetes. There are things I do, repeatedly, that just don’t make sense logically. Like my unbalanced diet. There are psychological issues at the root of my eating behaviors that I’m just afraid to deal with, even though I know I should. 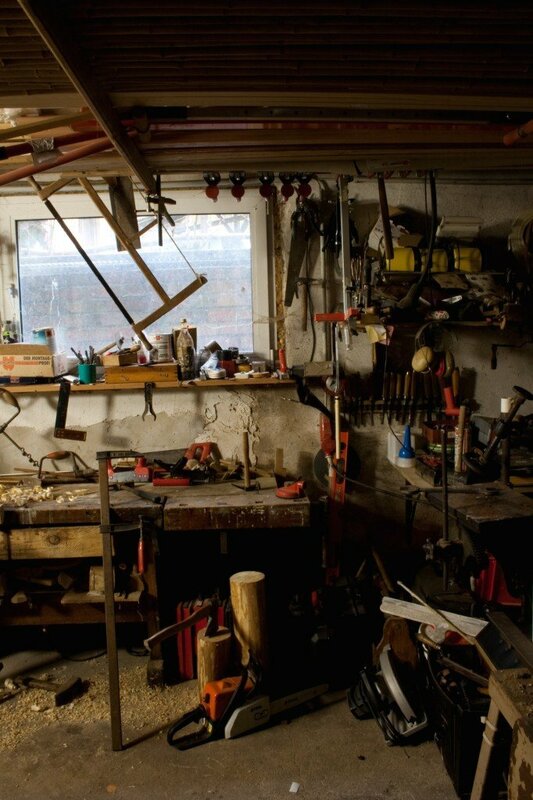 I think of it like a big, chaotic garage or old basement that needs to be cleaned out. Lots of dark corners full of giant spiders, messy stuff, and things I don’t know what to do with. Not my basement… or my head. But it could be. I worked with some terrific coaches over the years, and I wish everyone could have someone in their corner helping them (somewhat) objectively explore self-improvement. I learned that it takes a long time. I learned that there are no shortcuts. I learned that it is really hard work. I learned that it can be exhausting. 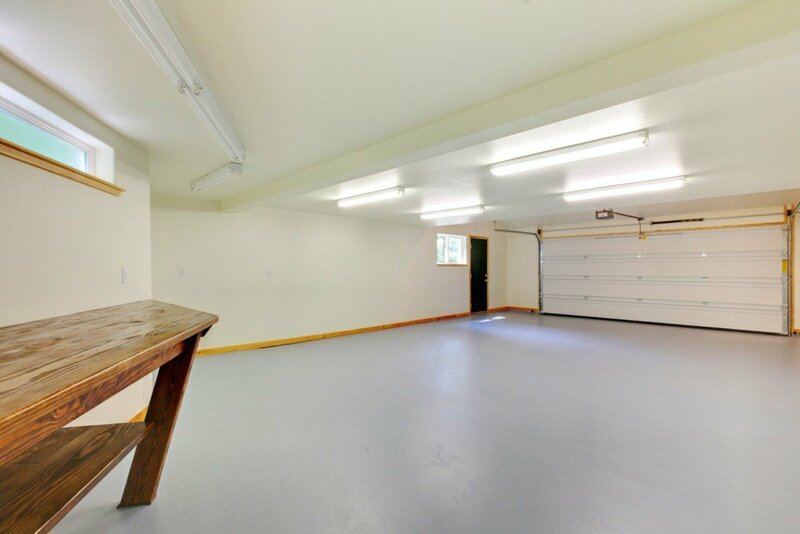 And I learned that even the darkest, scariest corners of my mental messy garage weren’t that bad once I really got in there and started sorting things out, squashing bugs, and cleaning up debris. The question I’m answering today? What aspects of diabetes do I choose to keep private from the internet? My friend Bennet says that your diabetes may vary, and I agree 100%. With that in mind, I work very hard to keep clear of personal dosing, ratios, factors, rates, calculations, or any other sort of things that sometimes work for me, but might be dangerous for other people. I am blessed to know a lot of people living with diabetes, and I’ve seen that we all manage in very different ways. It’s amazing, really. And sometimes it sheds some light on why we might collectively drive the endocrine society crazy. But it’s also really beautiful, and I’m really beginning to appreciate that. Thank you, Bennet, for giving us all such an easy way to describe such a very difficult idea. The question I’m answering today? What have I done that I’ve been particularly proud of? Over the past few years, I’ve accomplished some major things that I’m very proud of. But what I’m most proud of might surprise you. I learned to run, then ran some races (an 8k with Gary Scheiner, then a half marathon with Dana Lewis). I won some prestigious awards. I rode my bike for 102 miles in a single day. And I celebrated 35-years of living well with type 1 diabetes. What I’m most proud of is fighting the little fights that make up these big accomplishments. The little runs that built up to running an 8k and then a half-marathon. The little rides that built up to riding 102 miles. The day-by-day grind that built up to a week with diabetes, then a month, then a year, then a decade, then three decades. I’m most proud of pushing forward a little bit each day. I’m most proud of not giving up when that would be the easy thing to do, and when nobody is watching. I’m most proud of the hard work I do every day. I’m most proud of working hard even when I’m scared, afraid, and uncertain. I’m most proud of fighting the little fights. I’m pulling another wildcard here. The topic I’m skipping is about sharing some new blogs and/or blog posts I’ve read and loved. 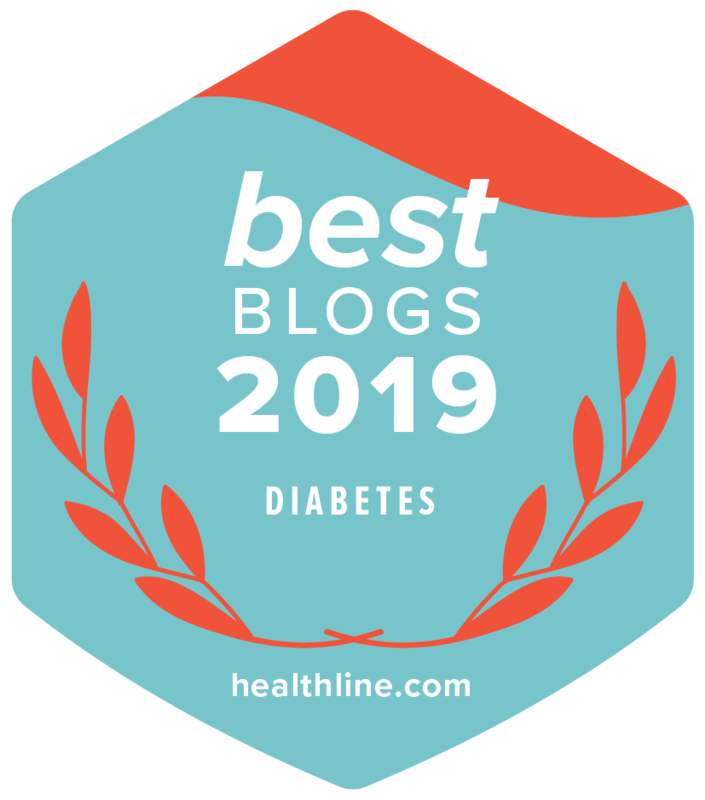 Finding new blogs to follow is actually one of my favorite things about Diabetes Blog Week — but I’m terribly behind. I’ve been travelling this past week and simply haven’t been able to keep up. But don’t worry! I’m determined to look through the links and find some new friends! It just might take me a while. I think I’d want a creature that was super tiny. Something that could be overlooked, easily concealed, not even noticeable in most circumstances. I could travel easily with it, and even have it with me when I’m exercising. But this tiny buddy would have to be able to get my attention if needed — even if I am going low and starting to lose it. Maybe a diabetes alert inchworm that could move fast (to get from my pocket to my ear), be self-sufficient amongst my keys, chapstick, testing stuff, and other stuff that is usually in my pocket…. wait! No! Not pocket! I’d wear some super cool necklace with an inchworm home lanyard! That’d be much better! My inchworm would also posses super strength and be able to fetch me a juicebox if needed. It would also be super smart and able to call 911 from my phone. Yep. A diabetes alert inchworm. That’s what my brain came up with. Back by popular demand, let’s revisit this prompt from last year! Tell us what your fantasy diabetes device would be? Think of your dream blood glucose checker, delivery system for insulin or other meds, magic carb counter, etc etc etc. The sky is the limit – what would you love to see? I would love some communication and integration. I can enter a detail into my phonebook and it’s instantly available on every device I have, but when I check my blood sugar I have to manually enter it into three different devices (pump (for correction), CGM (for calibration), and logbook (for recordkeeping). I was recently talking with a friend of mine about this! If I had to choose from all the endocrine conditions known today, I think I’d pick a low thyroid. Once diagnosed, it seems like a relatively easy problem to fix! I actually DO have low thyroid (it’s common for our kind – did you know that?). I get lab tests periodically, and I take a cheap pill each morning to fix it. I totally stole this answer from Wil. He mentioned something similar while we were together at AACE in Phoenix recently. This topic is actually much harder than it seems. Because when you live with diabetes, or care for someone with diabetes, your self-critiquing tendencies get amplified a whole bunch. High blood sugar? What did I do wrong? Low blood sugar? What did I do wrong? Perfect blood sugar? Won’t be there for long! With diabetes we always have to plan for the worst case scenario. It’s a survival mechanism! Can you imagine what it does to your mind when you are constantly planning for the worst? But we have to. Can we leave the house without planning and preparing for the worst low blood sugar possible? No! Can we go on a trip without planning for the most catastrophic pump failure ever? No! We have to be prepared. We have to always be prepared. Our very lives depend on it — LITERALLY! So with that in mind – I am going to say that my biggest accomplishment has been learning to be more kind to myself. There are so many memories to choose from! I’m going to choose the day of my biggest athletic achievement yet – riding 102 miles for the ADA Tour de Cure last spring. It was one of the hardest days of my life, complete with mechanical problems, self-doubt, stubborn determination and the willpower to just keep pushing forward. There were many points where I wanted to quit, and maybe even a few moments where I felt like I could ride forever. The thing I remember most about that day is wanting to quit but not letting myself go there. I think diabetes is like that sometimes. It seems too hard, it seems that I can’t do it anymore, but I don’t let myself go there. I find a way to just keep going, one blood sugar test at a time. My petition goes out to those who have thought about starting a blog/vlog/tumblr/twitter/<insert favorite social media channel here>. This is short and sweet. Someone out there needs your story. They need YOUR story. You are the voice that can help them turn the corner. Ask us for help if you need it. I think it’s safe to say that we’re all more than happy to help a new voice join the choir.